The summer music festival season for 2017 has officially kicked-off and this summer’s series of events looks more promising and jam-packed than ever before. As Canadians’ awareness and love for music festivals continues to increase year after year, many brands are beginning to understand the importance of music and the role it plays in the lives and entertainment of a young consumer audience. To form even greater, stronger and more trustworthy bonds with this coveted demographic, marketers continue to increase the amount of money being spent on marketing activations in the realm of live music. Brands looking to engage with the young, trendy, tech-savvy twenty-something-year-old should consider exploring marketing avenues at the music festival scene this summer. Music festivals draw crowds of music-lovers, who eagerly await at the entrance, ready to enjoy the constant flow of tunes, friends and Instagrammable moments. You will also notice brands trying to integrate themselves into this experience, not by usual forms of advertising or the selling of swag, but by immersing their brand into the experience via free samples, souvenirs, special guests, sweepstakes, contests and much more. Social media activity among millennials is at its peak and the amount of Snapchat and Instagram photos, tweets, and pins during music festivals is through the roof — which equates to added exposure and publicity to participating brands. Take part in the experience this summer, at Ever After Music Festival, Canada’s premier high-energy music festival taking place June 2nd, 3rd and 4th. Bringing over 50,000 festival-goers into a fantasy getaway experience, and featuring more than 50 musical acts on three stages spread across 30 acres, Ever After will take place at 425 Bingemans Centre Drive, Kitchener ON N2B 3X7. For more information on Gabriel Mattachione or Ever After Music Festival, please visit everafterfest.com. 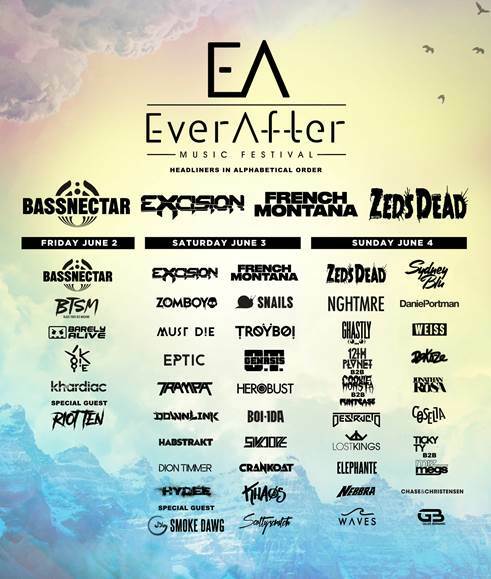 Follow @EverAfterFest on Twitter and Instagram, and like them on Facebook for all the latest updates.